With it comes many wonderful feast days to celebrate in the Catholic Church. One such day is September 14 — The Feast of the Exaltation of the Holy Cross. This feast day commemorates the recovery of the cross, which had been discovered by St. Helena, but had been taken out of Jerusalem by the Persians. In 629 A.D. Emperor Heralius brought the cross back to Jerusalem. One way to remember this special feast day is to us a cross cookie cutter (which you should be able to find at a Hobby Lobby or other craft store) to make cross cookies. After baking the cookies, frost them all with red icing except one — use white icing on that cross. After the frosting dries, put each cross cookie in a separate ziploc bag. Hide the bags all over your house and play a game with your younger children. The first one to find the white cookie wins! Of course they all get to partake in eating the tasty treats. While enjoying the cookies, talk about this special feast day and what Christ did for us on the cross. How great is His love that He would die so we could have eternal life! Another way to celebrate is to make a cross out of items you have around your house. We used some wooden crosses, poster board, pastels, glitter, and tiny colored rocks that were perfect for creating our cross. Have your child draw or make one of the crosses shown on that site. Write a paragraph about the cross he/she made. Use facts from the above site and find other resources online for additional information. Have your child make an oral presentation to the family displaying the cross and sharing what was learned. I just received a note from a friend who said that a document I e-mailed last year was helping her family’s Advent preparations this year. This PDF document is a list of ideas and books (along with links directly to the referenced resources) that can help your family celebrate this beautiful liturgical season at home. How blessed we are to be part of the Catholic Church, which is rooted in scripture and rich in tradition! Enjoy this time of year as we — and the little saints we are entrusted with growing — prepare for the birth of our Savior, Christ Jesus. November is the perfect time to “grow” a Thankful Tree in your house! With Thanksgiving fast approaching, I wanted to share a way to help your children appreciate the many gifts God gives them daily. This idea, shared with me years ago by a friend, has become a November tradition in our home. 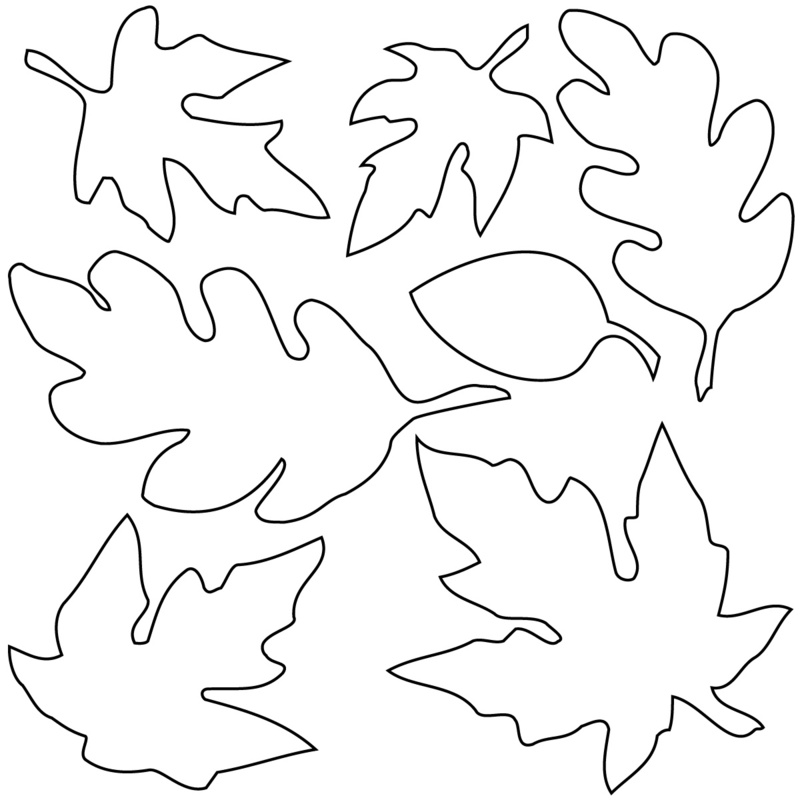 Find a printable fall leaf template on the internet, like this one. Make copies of the template so the leaves are on colored paper (red, yellow, and orange). I use three different shapes of leaves, but you could use only one or two if that is easier. Cut out the leaves and punch a hole in the top of each leaf. Put an 8-inch piece of yarn or string through the hole and tie it so that the leaf can be hung on your Thankful Tree. Find a branch in your yard or somewhere nearby that will be good for hanging your leaves. Place it in a pot with dirt. Every day during the month of November (it’s not too late to get started now) each family member can choose a leaf and write what he/she is thankful for that day. Younger children can tell you what they would like written on their leaves. Read your leaves to each other (we do this right after dinner) and then hang them on the tree. It is also a good idea to have extra leaves on hand for anyone who may come to visit your house (we ask our guests to fill out a leaf and hang it on the Thankful Tree). By Thanksgiving you will have a tree filled with reminders of all the daily blessings God has given your family! At the end of the month, take the leaves off the tree and place them in a Ziploc bag. Write the year on the Ziploc bag and store it for safe-keeping. My children love to take the leaves out of the bags from previous years and read what our family and friends were thankful for in past years! This really does not take much time, and if you have older children they can help cut out leaves and tie yarn on them. You can also cut leaves while waiting in a car for a child or watching a movie, etc. It is really easy and lots of fun! Hope your November is filled with blessings. May we be thankful each day for all that God has given us!